There's nothing worse than having a nice back patio or pool area and no music to enjoy it with! Our experts here at Stereo and Video Center have multiple solutions and will design a system to fit your needs. Our main outdoor audio brands are going to be Paradigm and Klipsch. 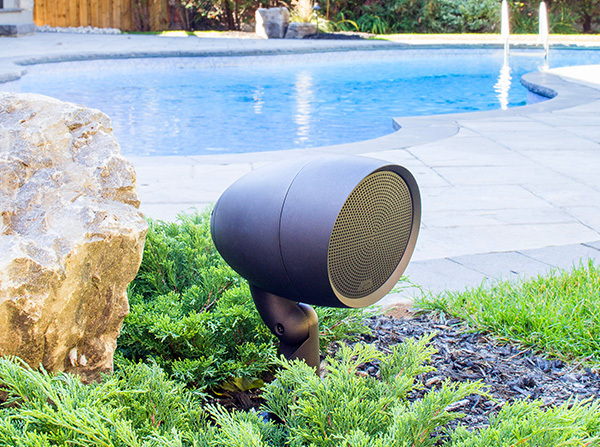 Both of which offer your standard outdoor/weatherproof speakers or more aesthetically pleasing solutions like rock speakers, in ground sub-woofers, or Paradigm's Garden Oasis line (our personal favorite). Whatever your style or taste, we can help!